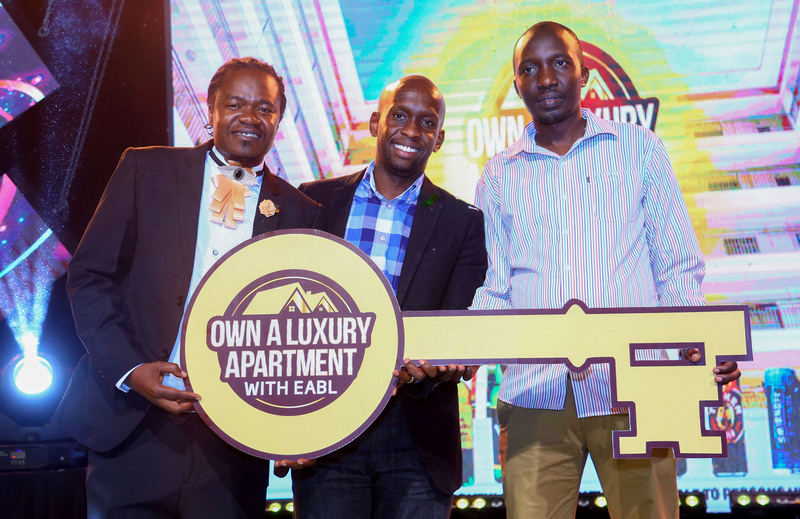 Own A Luxury Apartment with EABL ambassador Juacali, KBL Head of Sales r Alvin Mbugua together hand over a dummy key to the Own A Luxury Apartment with EABL winner Anderson Terer during the award ceremony at the EABL offices in Ruaraka Nairobi on Friday. 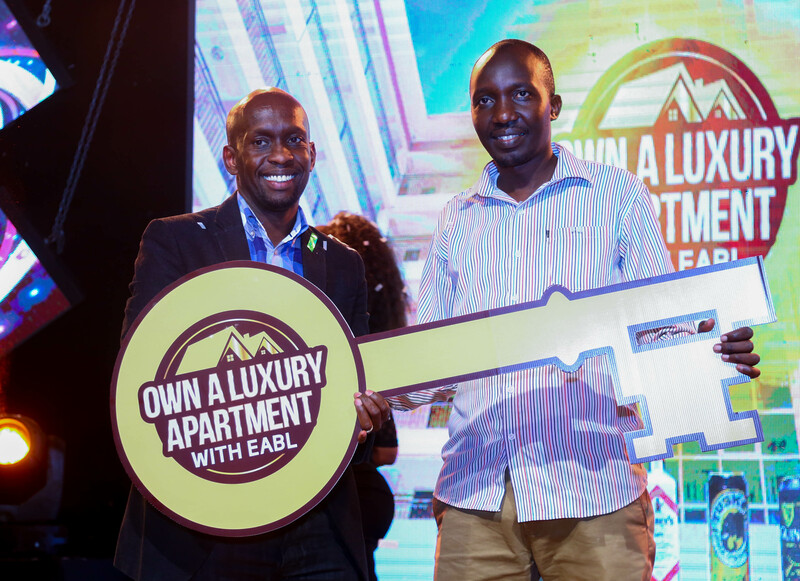 A 32-year-old quantity surveyor is the winner of the grand prize of a Luxury two-bedroomed apartment located in Kilimani, Nairobi in the “Own A Luxury Apartment with EABL” consumer promotion. Anderson Cheruiyot Terer, a Nairobi resident, became the new home-owner of the Kshs. 10Million worth apartment. 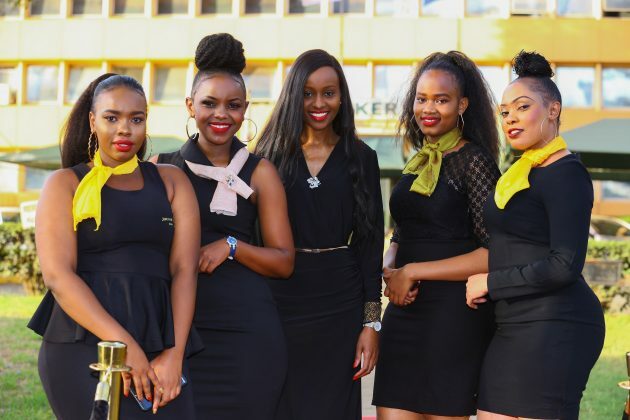 The twelve-week consumer promotion, which saw over 100,000 consumers participate also offered daily cash prizes of Kshs.500, weekly cash prizes of Kshs.20,000 and monthly cash prizes of Kshs.100,000. 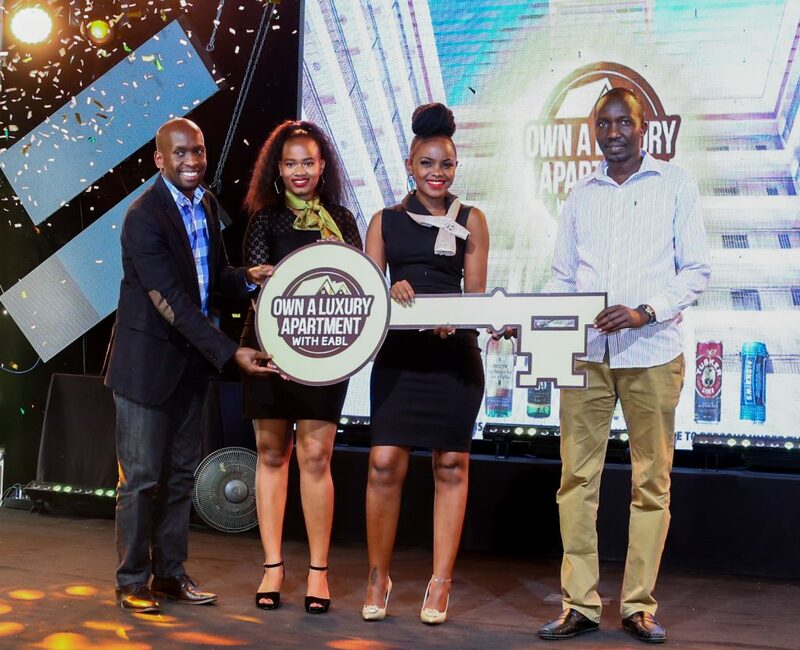 KBL Head of Sales Alvin Mbugua, Jeniffer Nzomo, Beatrice Dorea, together handover a dummy key to the Own A Luxury Apartment with EABL winner Anderson Terer during the awarding ceremony at EABL offices in Nairobi. He added ‘‘This year’s campaign was centered around connecting with the Kenyans’ dream to own a home and we gave our consumers an opportunity to own a luxurious two bedroomed apartment located in Kilimani, Nairobi. Awarding this apartment today to Anderson is supporting realization of this dream’’ said Mr Mbugua. 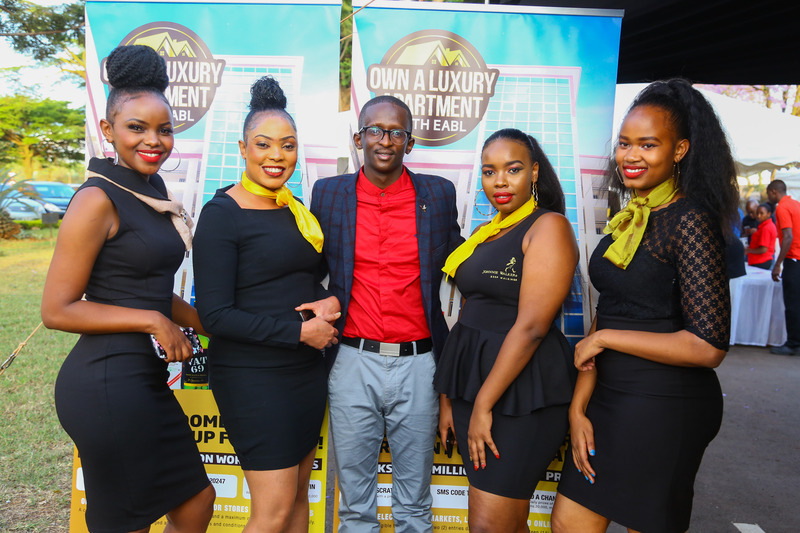 From left, Jeniffer Nzomo, Beatrice Dorea, funny man Njugush, Veronica Macharia and Lynda Mbugua pose for the camera during the Own A Luxury Apartment with EABL award ceremony at the EABL offices in Ruaraka Nairobi. 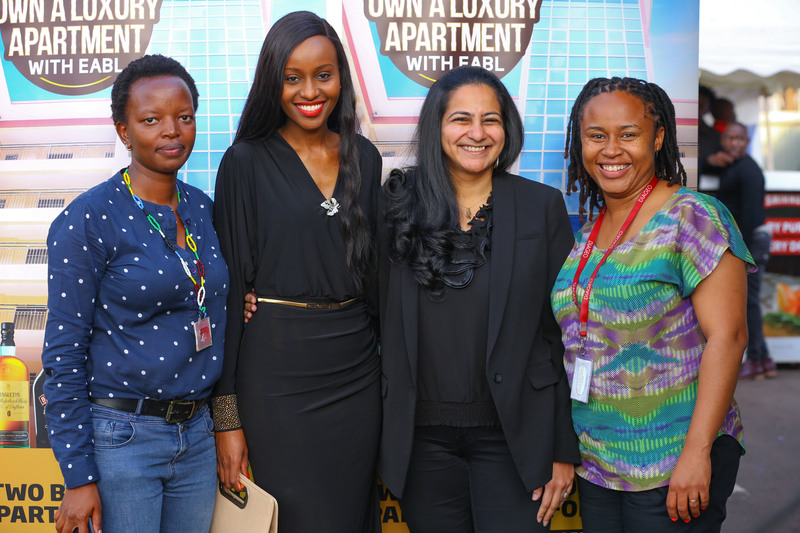 From left, Eunice Kanyuga, Shopper Marketing Manager Offtrade KBL, Kirtan Kamath and Elizabeth Wamuyu all from EABL during the Own A Luxury Apartment with EABL award ceremony at the EABL offices in Ruaraka Nairobi on Friday. From left, Jeniffer Nzomo, Beatrice Dorea, Shopper Marketing Manager Offtrade KBL, Veronica Macharia and Lynda Mbugua looking beautiful during the Own A Luxury Apartment with EABL award ceremony at the EABL offices in Ruaraka Nairobi. “I received a call from KBL informing me that I had won a two-bedroomed house, at first I was not certain if it was real until I called back the helpline number and confirmed it was true I was the lucky winner,” said Cheruiyot.